Once you’ve harvested your first crop of delicious organic vegetables and herbs, you’ll never want to eat supermarket produce again. A tomato picked green, transported long distances, and force-ripened with ethylene gas can never compare to a sun-kissed, bursting-with-flavor, ripe tomato from your own garden. But how to get started? If you follow the simple instructions in this newsletter, you will start out on the right foot, and you’ll be all ready for planting time. If you pick easy plants to grow, that’s half the battle. 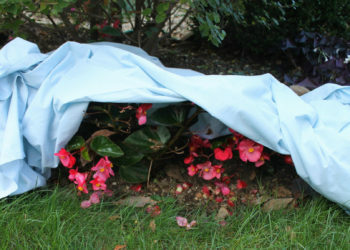 You can save the high-maintenance plants for later. Below is a list of ten of the easiest plants to grow. The good news is that the easiest plants to grow are also among the most popular to eat! Click on the links and you’ll be taken to the page on our website containing the easiest-to-grow varieties of the veggies. If you plant the easiest variety of the easiest plant, you stand the best chance of having a successful first harvest. The next step is to choose what space you will designate as your garden. Beginners should start with a small space, but it doesn’t even have to be in your yard. By doing container gardening, you can grow on a patio or balcony. Try to find an area that gets a lot of direct sun (preferably 6-8 hours a day). If this is not possible, choose veggies that do well in partial shade such as spinach and certain varieties of peas. Another important consideration is water. You’ll need to water your garden regularly, so chose a space with easy access to water. You will also want to choose a spot with good drainage. In other words, an area that will absorb the water in a reasonable amount of time. If you notice persistent standing water after a rain, try to find a better spot. The next step is to test your soil. Although you can request this from your regional County Cooperative Extension and they will perform a thorough and professional test at no charge, it’s possible to do basic testing yourself for just a few dollars. What you want to find out is your soil’s pH and its levels of the three most essential plant nutrients: Nitrogen, Phosphorus, and Potassium (commonly abbreviated as N, P, and K.) To learn more about soil testing, read our Guide to Soil and Soil Testing, Part 1. To learn more about improving soil drainage, read our Guide to Soil and Soil Testing: Part 2. Some people have the opposite problem. As soon as it rains, the water runs through the soil so quickly that the roots of the plants can’t absorb it. What’s more, any fertilizer that is applied washes away with the first rain. The solution here is also to add organic matter such as BioMax 3-in-1 Garden Mix. Please read the GHS Guide to Soil and Soil Testing: Part 2 to learn other helpful steps you can take. If your soil test tells you that your soil is deficient in one of the major minerals, you will need to add fertilizer. To do this right, please read our newsletter Choosing a Fertilizer: The Good, the Bad, and the Fishy. If your pH is too low, meaning your soil is too acidic, you will need to add lime. We explain how to best do this in our previous newsletter, Strengthen Your Soil with Agricultural Limestone. If your pH is too high, meaning your soil is too alkaline, you will need to add sulfer. The Royal Horticultural Society has a good article on how to correct this imbalance. At GrowJoy, we have an automatic shipping program where we ship pre-grown plants at just the right time to put them in the ground based on your location and growing zone. 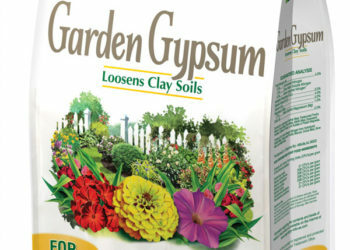 Why Apply Garden Gypsum Now?